great job on this web page. I am 16 years old and in my junior year in highschool. Not many of my friends are christians although I and my family are. Because of your web page I am been able to witness to some of my friends and help them to understand how God can work in their lives like he has in mine. 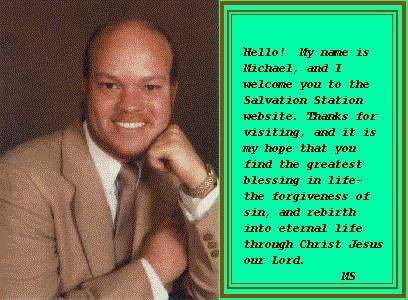 God Bless you all and thankyou for spreading god's word throught the world. Thank you to the creaters of this page as well.